Mont-Saint-Guibert, Belgium and Beijing, China - October 17, 2018 - CISSOID, the leader in high-temperature and extended lifetime semiconductor solutions and Global Power Technology (Beijing) Co. Ltd. (GPT), the pioneer of industrialization of Silicon Carbide (SiC) power devices in China, today jointly announced that two companies established strategic partnership and will jointly develop solutions to promote the extensive applications of SiC power devices in various industrial fields, especially in new energy vehicles. GPT is China's first provider of third-generation semiconductor SiC devices via their own manufacturing and with application solutions. It is the leading company in SiC chips and also the emerging force supporting high-end manufacturing in China. 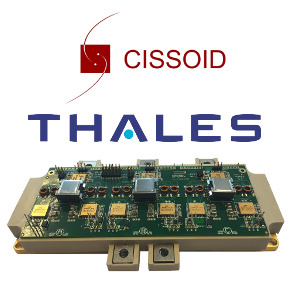 Headquartered in Belgium, CISSOID is the leader in high temperature semiconductor solutions, delivering standard products and custom solutions for power management, power conversion and signal conditioning in extreme temperature and harsh environments. This cooperation between two companies will help to leverage the advantages of both parties and provide advanced products and solutions for industrial fields such as new energy vehicles and aerospace in China. SiC power devices have gradually replaced traditional silicon devices in some fields with their advantages such as high temperature resistance, high voltage resistance, high energy density and high efficiency. When used in high-end fields like aeronautics, SiC devices require the drivers to provide sufficient supports in terms of high temperature resistance and protection mechanism. 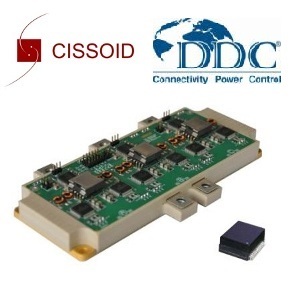 CISSOID has high temperature, high reliable, high robust drivers which have been proven in aerospace, oil and other fields, and have been used over 10 years. CISSOID drivers can work very effectively with GPT SiC power devices. "GPT has always been committed to the industrialization of China's SiC power devices. We have achieved mass production of high quality SiC products, which are widely adopted in the fields of automotive electronics, locomotive traction, photovoltaic power generation and consumer electronics." Said Mr.Tong Chen, General Manager of GPT. "I am very pleased to reach a cooperation agreement with CISSOID. Their high temperature devices and high temperature packaging technology are well matched to the application of SiC devices. The overall design can achieve high temperature resistance and high energy density. Especially, their highly reputed high-temperature driver products are bringing strong support to us. They can help our customers to carry out many new applications in various fields. At the same time, the in-depth cooperation with CISSIOD is one of the important measures for GPT to sell our SiC device products to overseas markets." "CISSOID is highly focused on China market. This cooperation with GPT, a leading manufacturer of SiC power devices in China, is an important step of our development in China. And it lays a good foundation for deeper involvement in China's semiconductor industry chain and market." Commented Mr. Dave Hutton, CEO of CISSOID. "CISSOID is a fabless semiconductor company with a very strong design team for high-temperature semiconductor chips and high-temperature packaging. The company has rich experience in the fields like aerospace and oil & gas. And we are gradually advancing the applications in new energy vehicles. The company is dedicated to a cooperative development with China’s semiconductor industry. In the areas of chip fabrication, packaging and testing, we have started to cooperate with China companies and are conducting discussions with more partners to broadly integrate ourselves into China's local semiconductor industry chain. In addition, we already adopted investment from China and are still adopting more investment from China to the company. They are strategically promoting the company's health and rapid growth." "With the rapid development of new energy vehicles, the third-generation semiconductor SiC power devices have received more and more attention. Especially, the analysis report from France SystemPlus on the electronic control system of Tesla Model 3 has consolidated the confidence on the SiC power devices in the applications of new energy vehicles," said Ms. Qiu Qi, Marketing Director of GPT. "With the rise of China's manufacturing facilities and ecosystems for new energy vehicles, it will generate a new wave of demands on high-performance SiC power devices." "The applications of SiC devices will be very extensive, especially in the field of new energy vehicles. On the contrary, the rapid development of new energy vehicles has also led to the rapid expansion of the market of SiC devices. Currently, the world's top level new energy vehicles like Tesla and Toyota have begun to adopt SiC devices," said Pierre Delatte, CTO of CISSOID. “New energy vehicles have strong demands on high-efficiency, small-size, high-temperature-resistant SiC devices and their auxiliary devices. And the high-quality driver products can provide good support for SiC devices in these features, which can greatly improve the reliability of the overall electronic control system. The cooperation between two companies has very promising prospects. We can work together to provide support for new energy vehicle manufacturers." According to the data released jointly by the China National Information Center's Big Data Development Department, the Ministry of Industry and Information Technology, the Ministry of Science and Technology, and the China Automobile Industry Association, China has been ranked as world's largest producer and consumer of new energy vehicles for last three consecutive years. The market prospects for new energy vehicles have attracted much attention. Since automotive is a commodity for people, the market prediction says that the power devices used in the new energy vehicles will quickly grasp half or even more of the overall power device market. 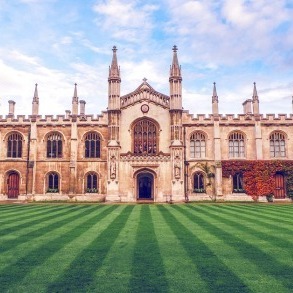 In addition, in terms of power devices, SiC devices are also being used in more and more fields because they have many advantages of performances over the traditional silicon devices. CISSOID and GPT will leverage their respective strengths to generate a strong synergy for bringing high-quality SiC products and solutions to the market. The partnership is enabling faster development in China's industries and new energy vehicles. 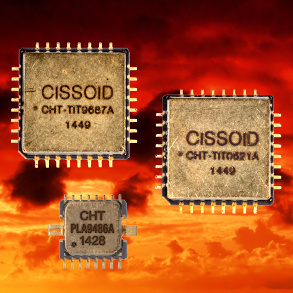 CISSOID is the leader in high temperature semiconductor solutions, delivering standard products and custom solutions for power management, power conversion and signal conditioning in extreme temperature and harsh environments. CISSOID provides high reliable products guaranteed from -55℃ to +225℃ and commonly used outside that range, from cryogenic lows to upper extremes. Whether the ambient temperature is low but the power dissipation heats up the chips, or in high temperature environments, CISSOID products enable energy, weight and cost savings in lighter, cooling-free and more compact electronic systems. They are used in mission-critical systems as well as in applications requiring long-term reliability. CISSOID supplies leaders in the Oil & Gas, Aeronautics, Industrial and Automotive markets. Global Power Technology (Beijing) Co. Ltd. (GPT) is one of the pioneers for industrialization of Silicon Carbide (SiC) power devices in China, and also China's first provider of third-generation semiconductor SiC device via its own manufacturing and with application solutions. Headquartered in ZhongGuanCun DongSheng Science and Technology Park in Beijing, China, the company has China’s first SiC device production fab which has the ability of mass production to meet the needs of the market. GPT is the leading company in third-generation semiconductor SiC chips and also the emerging force supporting high-end manufacturing in China. The series of 650V-3300V (1A-100A) SiC products has been mass-produced and supplied to power customers in various fields. The company has won the awards such as “The Demonstration Unit of Industrialization in National Torch Program” and “Semiconductor Innovation and Technology Award”, and has undertaken the SiC projects from the Beijing Municipal Science and Technology Commission and the 13th Five-Year key project “Strategic Advanced Electronic Materials” from the Ministry of Science and Technology of China. 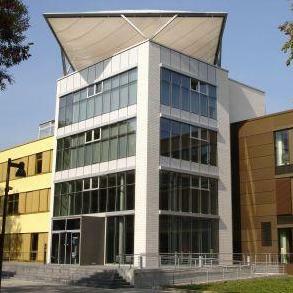 GPT closely cooperates with domestic and overseas top scientific research institutes, strives to provide high-quality products for downstream, and has been recognized by customers in various fields such as automotive electronics, locomotive traction, photovoltaic power generation and consumer electronics.